Every now and then (all right, more now than then these days) the kids do something that makes me realize I do have a couple of geeklings in the making. Today the boychild came with me and baby to her appointment at the local children's hospital. The place is amazing and has many specialty clinics including those for kids with orthopedic issues and burn victims. I prepped him a bit before we got there, telling him he might see kids that looked different than him, that had scars or were in wheelchairs and that he could say hi to them, but not stare, point and so on. 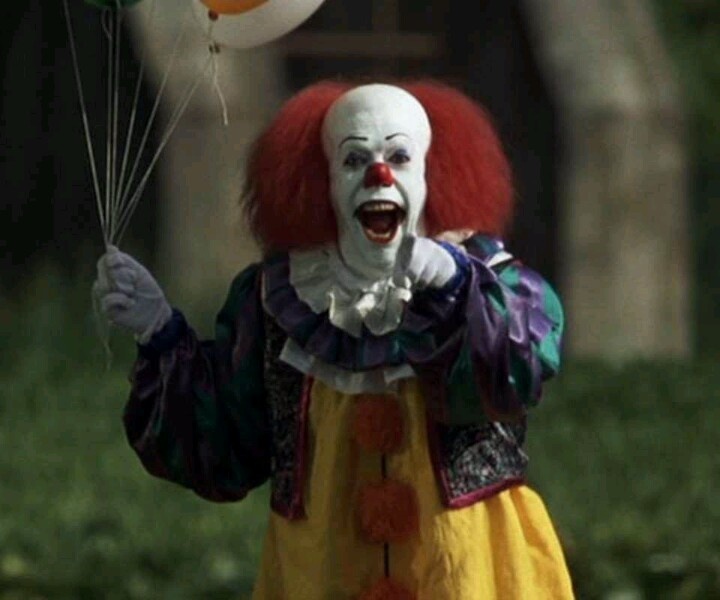 passes on a parent's fear of clowns? I neglected to mention the clowns. Boychild (after walking past the clown greeting patients) whispers: Is that a human? Boychild: OK, not a robot then. First, I get a cookie for not bursting out laughing. I also had to wipe away a tear of pride that he is totally on the lookout for robots disguised as humans. Preparing for the eventual war with Skynet and the robot hordes. Me to girlchild: That's weird. We have gotten to the point where we have different flavors of weird: weird cool, weird interesting, and weird gross-don't-do-that-again. Finally, have you seen Star Wars Trouble? You play it just like regular Trouble except for a few things. 1) You get R2 sound effects (that you can turn off). 2) You get to start a new piece when you roll a 6 or if R2 is standing upright. 3) It came with stickers of various characters to put on the game pieces. We played last night and had so much fun. I recommend adding it to your game collection. 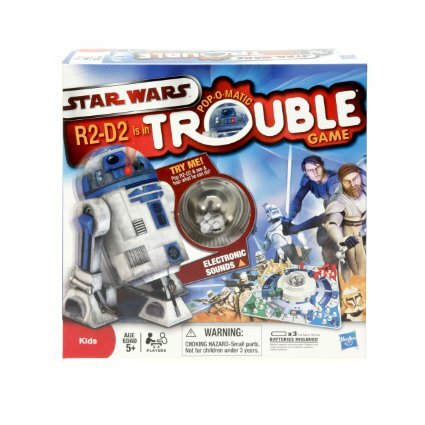 Whenever anyone rolled a 6 or an R2, the boychild would yell, "You can free another Rebel!"